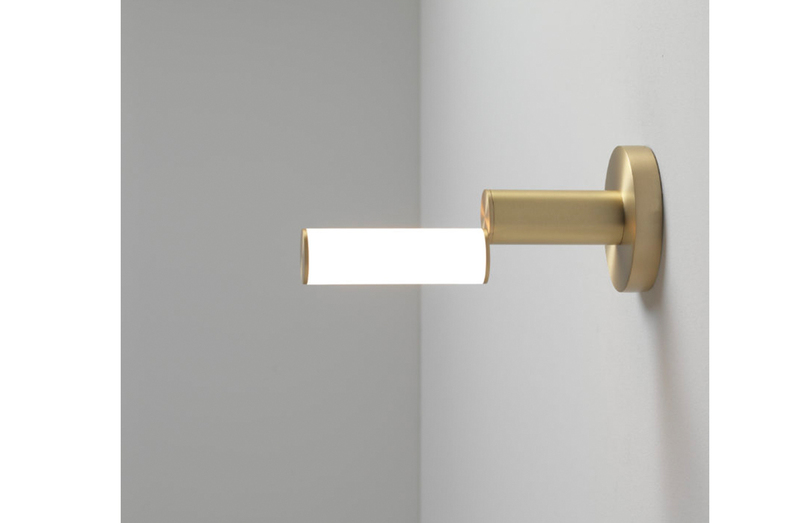 Brass sconce available to order in numerous finishes. LED lamping. Please see ADDITIONAL SPECS for sketch. Metal finish options: Polished or satin brass, polished or satin nickel, polished or satin graphite, polished or satin copper.